Thanks to Cyber Monday, our weekend wrap-up is coming in just one day late. What a weekend, am I right? No matter what you were up to, it’s always a whirlwind. I hope you were able to enjoy some quiet time with family or friends. Maybe even both. The past few days were a mix of family time, snuggling, decorating for Christmas and hockey. Here’s a peek at what we’ve been up to. 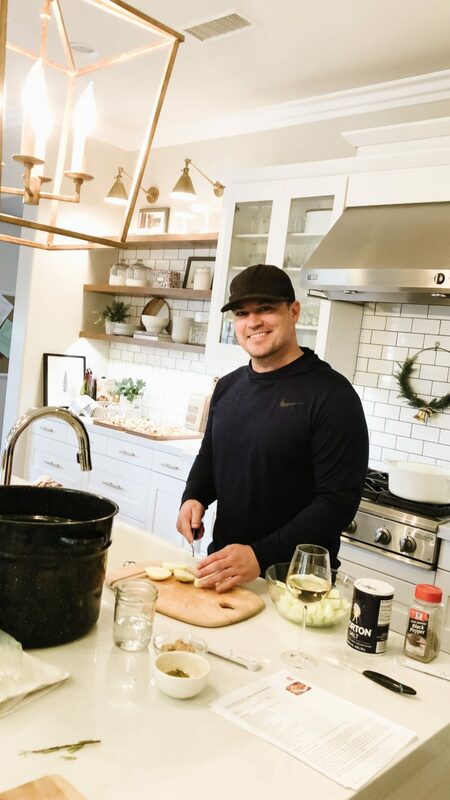 Cranking up the Christmas music and cooking in this kitchen is one of my favorite ways to spend time. 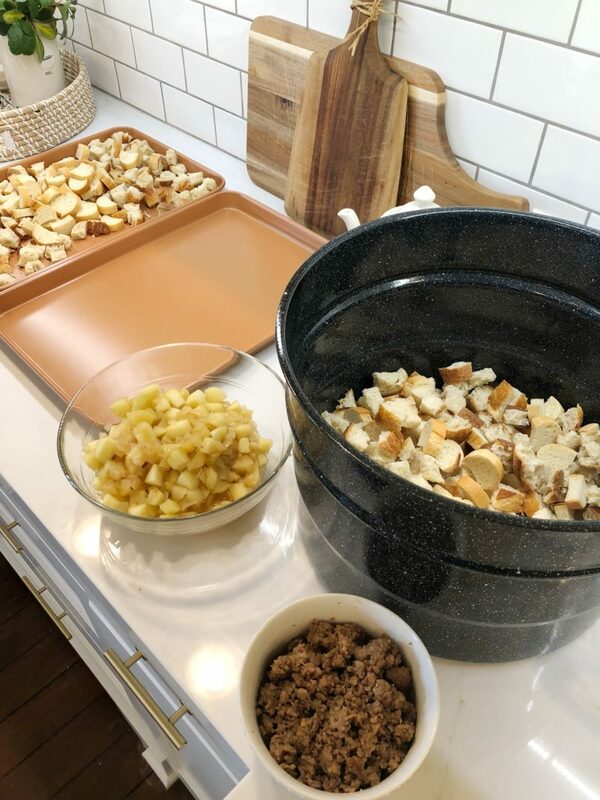 Thanksgiving had us making stuffing and just enjoying the time off as a family before we were off to my sister’s for dinner. If you need a new stuffing recipe, we LOVE this one. 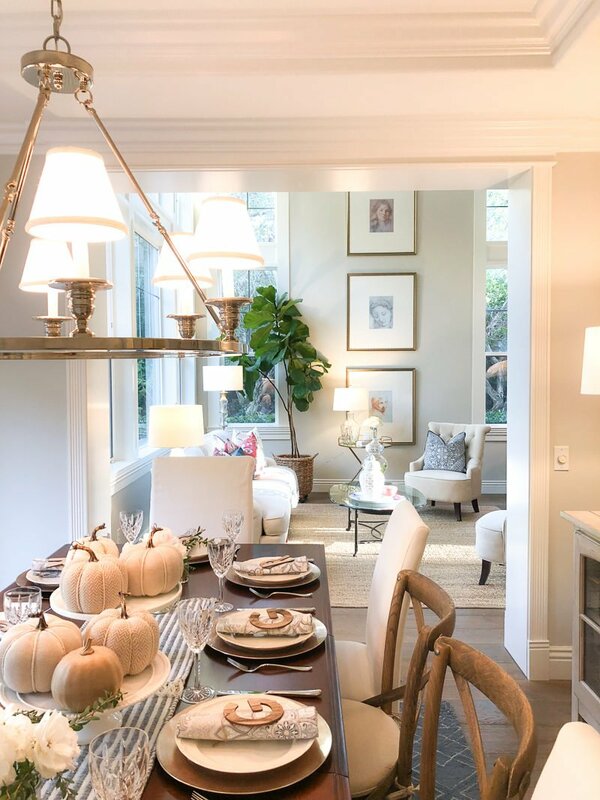 It’s easy to prep a great deal of it the day before and then assemble the day of. It only took us about 30 minutes to prep on Thursday and then it goes in the oven for 25 minutes. Maybe file it away for next year if you are up for trying something new. The diced apples add so much. By the way, this large pot is what my husband uses when he cans pickles with the kids. Well, that’s rephrase that. They bought all the stuff and did it once. You know how that goes. But the pot is awesome. It’s lightweight and perfect for mixing things like stuffing. Great kitchen addition if you have room to store it. We store in the garage! We also took a meat and cheese platter. Normally I make this one (video tutorial here) but this year I was inspired my Natalie. She deserves all of the credit for this one. 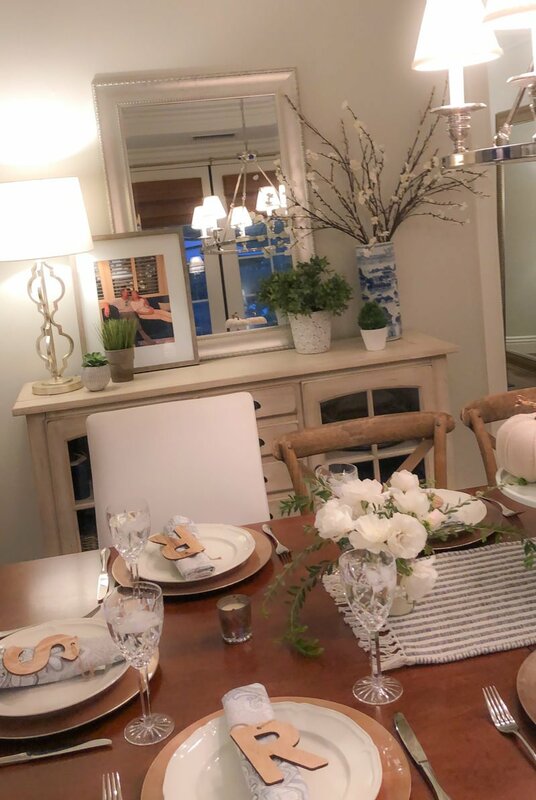 No surprise that my sister’s table looked gorgeous. She is so talented. If you look closely, you’ll see a photo of my parents on the sideboard. It’s one of the last photos of taken of the two of them together. They way they are looking at one another melts my heart. I love that my sister had this near our table. Such a beautiful home. I love spending time here. I always get so many questions about her chandelier. While this exact one is sold out, this one is quite similar (30% off). 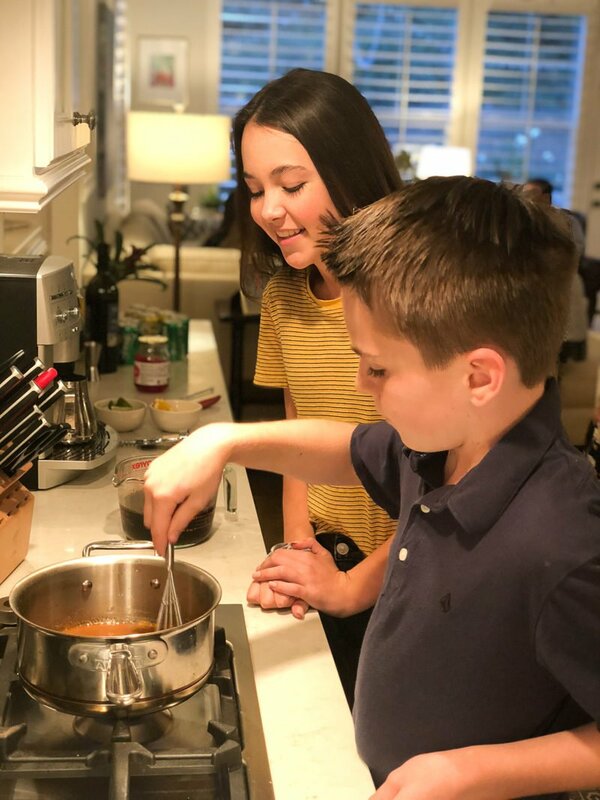 One of my favorite moments was seeing the kids learn how to make the gravy. My mom used to do this and over the past few years my sister and I took over the gravy duty. Passing along traditions and holding on to the past memories. 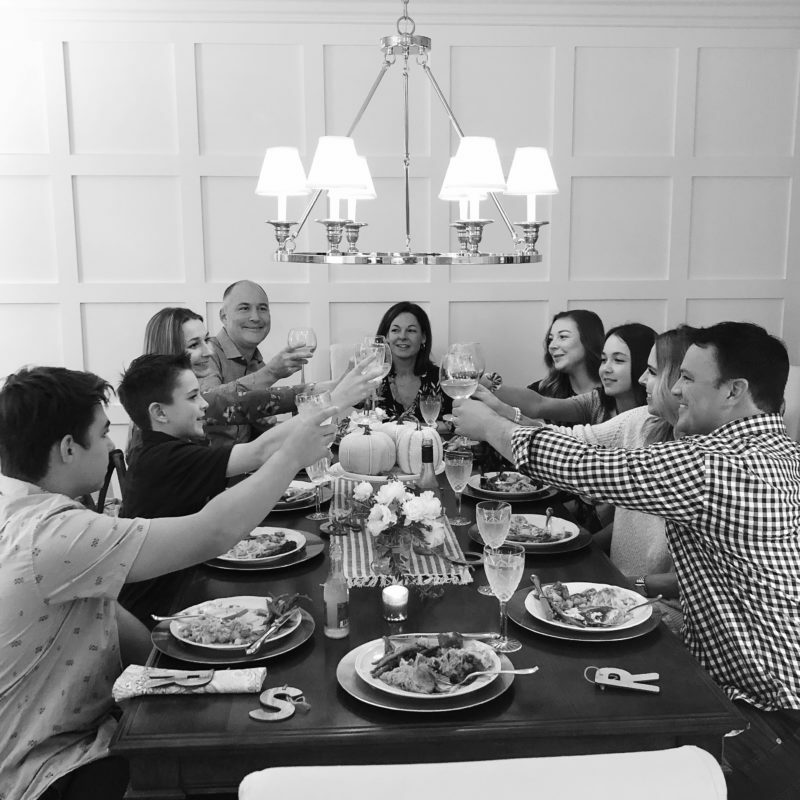 Cheers to family. It wasn’t the same without mom and dad. Mom could not join us because it is just too overwhelming and confusing for her. The day was a beautiful one but it didn’t feel the quite like Thanksgiving without my parents. For those of you going through the holidays without your loved ones, I truly understand. The rest of the weekend was spent enjoying my son’s hockey tournament. So very proud of these boys who played up and faced teams that were two years older. They walked away beating 3 out of the 4 teams and learned so much. Needless to say it was a tiring few days but we feel very fortunate to watch our son do something he loves. Have you adjusted back to the routine? I spent all of yesterday getting caught up on blog work and laundry. I don’t think I ever left the house! 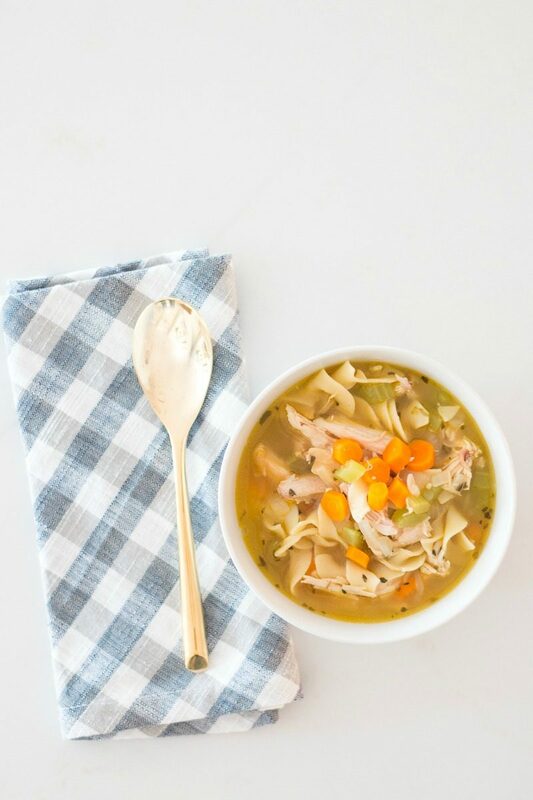 Today I am off to see mom but plan on making this Easy Chicken Noodle Soup tonight. Make it a great day, friends. I’ll see you over on Instastories with mama. 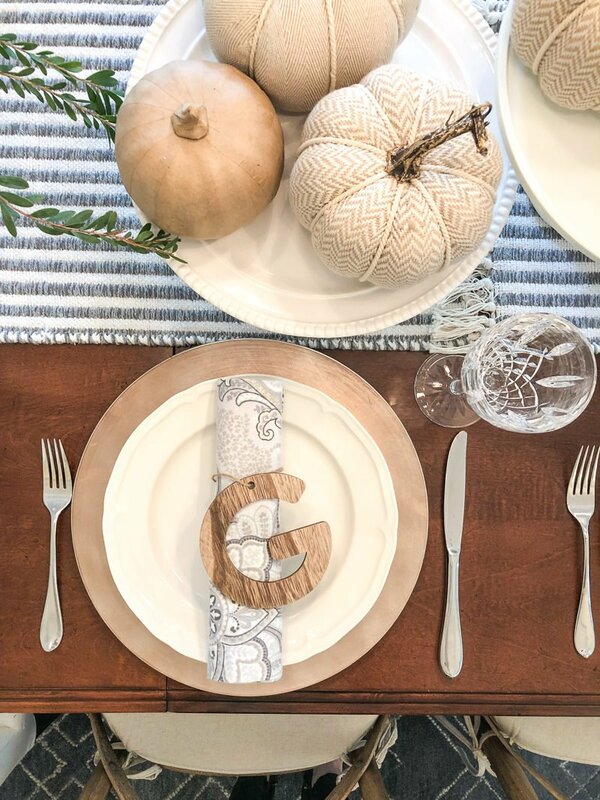 Your sisters table settings are beautiful, you can tell your mom had a wonderful impact on both of you! 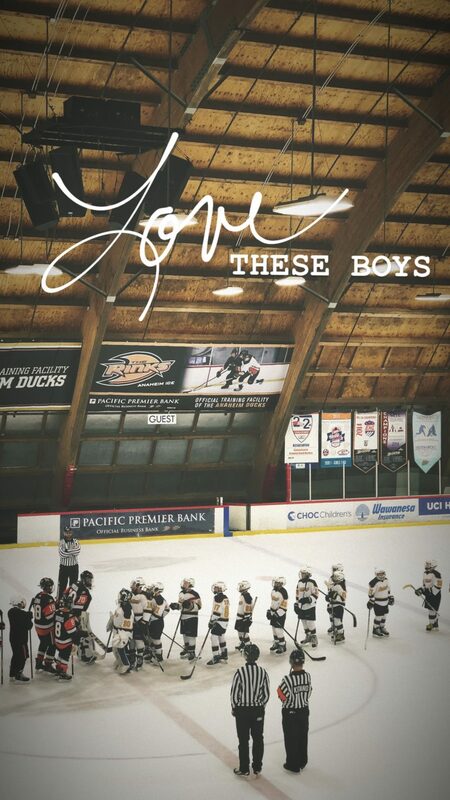 We spent Thanksgiving weekend at a hockey tournament too. So many hours in the rink for games and volunteering (and outside for a game – brrrr! ), but our girls had fun together. 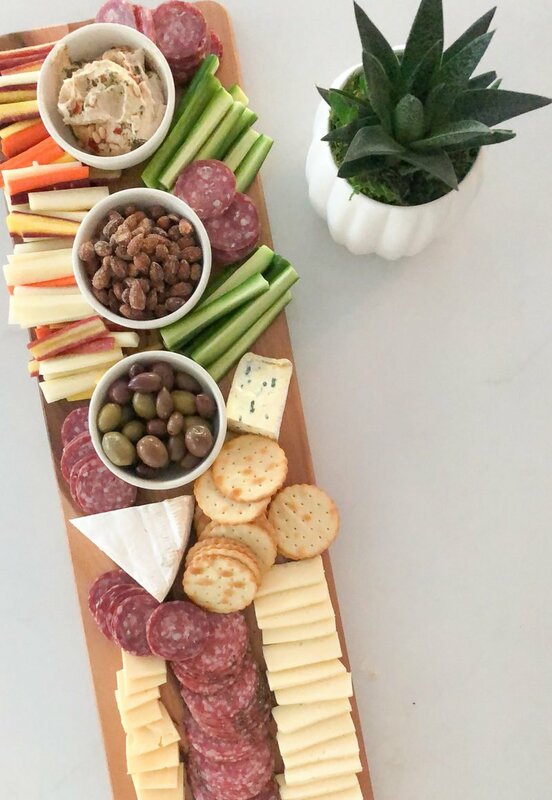 Love the meat and cheese platter you pulled together. Looks fantastic! Where did you get the big pot? I didn’t see a link. “Graniteware” is fairly common back East particularly in farm country, but I did see that Target sells them online.